After the miseries of Batman v Superman, you might have been forgiven for thinking that DC should avoid any attempts to make R-Rated comic book features. Not so, as Warner Bros. Animation and DC Entertainments animated adaptation of Batman: The Killing Joke will be aimed squarely at an adult market. Entertainment Weeklyreport that the direct-to-video release has been officially rated R.
Of course it has: adapting the Killing Joke without its outrageous moments would be tantamount to sucking out its soul, and a faithful adaptation needed that adult element. The fact that Warner Bros Animation head Bruce Timm told his team to adapt purely without consideration of the MPAA rating is a great thing to hear. There's no plan for a PG-13 cut, thankfully, since that would require editing out most of the story's central event. There's no way to spin the Joker paralyzing Barbara Gordon for kids. 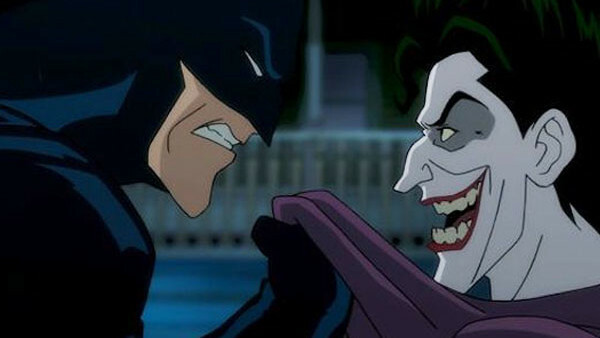 The animation will adapt Alan Moore's explosive classic comic and sees the return of beloved voice performers Mark Hamill as the Joker and Kevin Conroy as Batman. Hopefully, we'll see an adaptation that matches the comics' iconic status. Batman: The Killing Joke is expected to be released on Blu-ray, DVD and Digital HD later this year.